Your partner has your back, but we've got your soul. 06 APR 2019 - Fr. 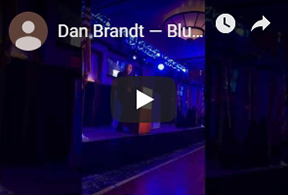 Dan Brandt serves as keynote speaker at New York City's BLUE LIVES MATTER event in Staten Island. Fr. Dan Brandt to speak at Holy Name Cathedral's "Boost Your Beliefs" series. Topic: FAITH ON THE STREETS...ministering to police officers who do God's work every day, often in unfavorable, unpredictable and dangerous circumstances. and challenge to enter the journey? Location: Odyssey Golf Foundation 19110 S. Ridgeland Ave. Tinley Park Lunch & Raffle at conclusion. Check out hundreds of photos...you may see some familiar faces. "The credit belongs to those who are actually in the arena, who strive valiantly; who know the great enthusiasms, the great devotions, and spend themselves in a worthy cause; who at best know the triumph of high achievement; and who, at worst, if they fail, fail while daring greatly, so that their place shall never be with those cold and timid souls who know neither victory nor defeat."